-Organic Green Tea Acai White Cranberry: Regarded as a miracle fruit by many, the acai berry’s tantalizing tropical flavor blends exquisitely with white cranberry to create a uniquely flavorful green tea. -Organic Green Tea Original Green: The pure, clean flavor of perfectly brewed, all natural green tea … light, refreshing and rich in nutritional benefits. -Organic Green Tea Lemon Ginger: Delightfully subtle yet tart, its delicate, lemony flavor is balanced with the gentle spice of ginger. 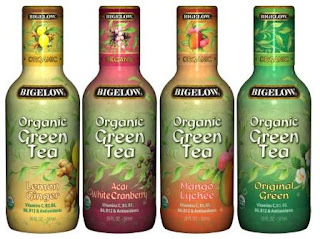 -Organic Green Tea Mango Lychee: Fantastically fruity! Juicy mango and exotic lychee combine for a unique and delectable taste of refreshment. Cheers to some great drinks!!! Love your baby. Love the planet. Biodynamic Farming at a Winery.